A few months ago I was perusing (onlookers might have described it as ravaging) the fiber stock at the yarn behemoth down the street, in desperate search of some Fleece Artist wool/silk roving to try out on my new Lendrum DT. There was only one lonely little braid. Its very bright, high-contrast primary colours were not at all to my taste but I was desperate and I somehow convinced myself that I needed to take it home. My mistake became clear after the yarn buzz wore off. Ashamed of my lack of restraint, I buried the fiber in my stash, never to be seen again. Alone it waited, encased in a plastic prison, while I gave it names like "clown paint" and "circus horror." I am smitten, a woman obsessed. 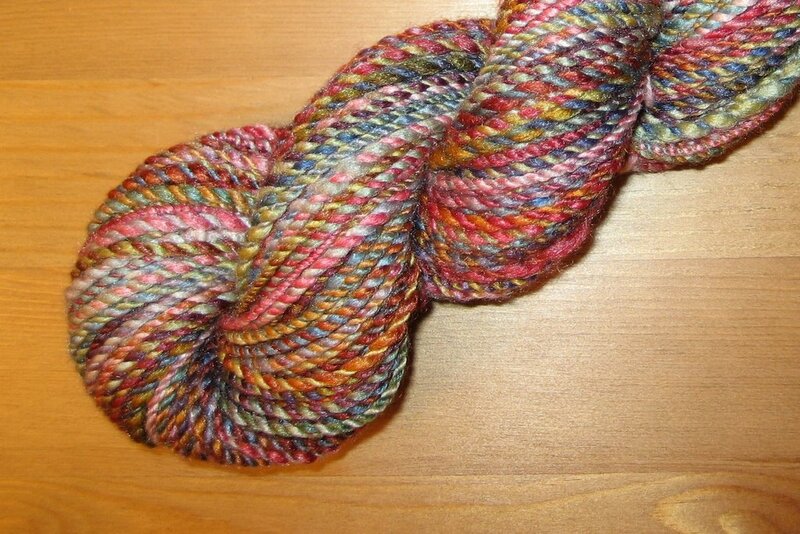 This is quite possibly the most lovely yarn I've ever spun. It's perfect: the colours, the blending, the squishiness, the sheen, everything! It is 105 yards of worsted weight, 2-ply, silky woolly goodness. 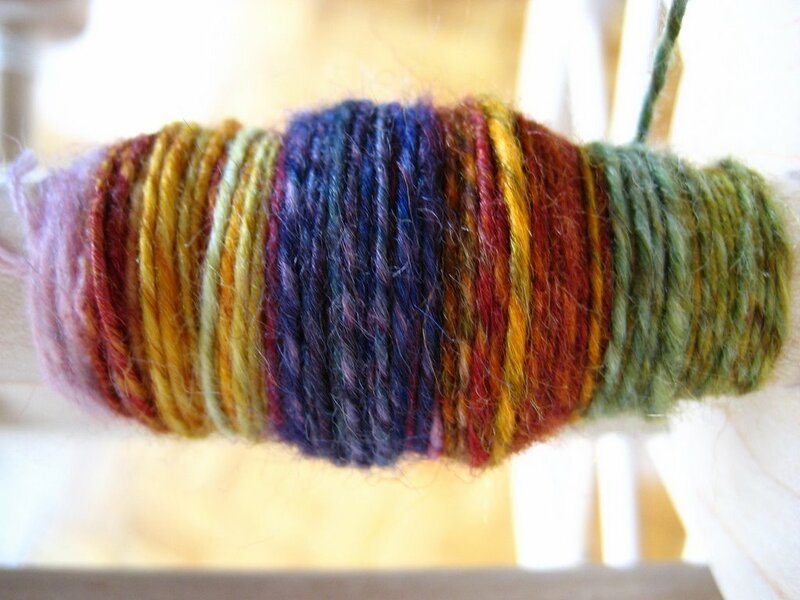 New rules to live by: trust your yarny instincts and never judge a roving unspun. Posted by Amanda at 10:22 a.m.